Got an Apple, Mac, or iOS tech question? We have the answer. 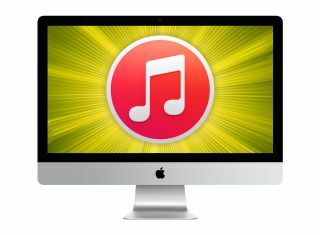 Today we have a reader request about how to transfer your iTunes library from one location to another. This question is specifically about moving your library from an external drive to your main drive, but much of the advice should help no matter where you're moving your files. I have an external drive that I store my iTunes Library on, but now I want to copy the library back over to my MacBook Pro. I've tried going into preferences, but cannot find anywhere to change the location. How can I do this? 1. Plug in the external drive. 2. Quit iTunes if it's open. 3. Open the Finder and locate your Music folder inside of your Home Directory on your Mac. If you're copying your iTunes music library over to your main hard drive, you'll want to put it in your Music folder. 4. Drag and drop the "iTunes" folder from your external drive to the Music folder. 5. Once the copy has finished, keep the data on the external drive intact should something go wrong. You can now unplug the drive. 6. Launch iTunes while holding down the Option key. When prompted, click the "Choose Library" button and select the iTunes Media folder within the iTunes folder that you copied over to the Music folder in your home directory. 7. Alternatively, open iTunes and navigate to iTunes > Preferences > Advanced and hit the Change button to select the new iTunes Media folder. That's it. From now on, when iTunes launches, it will load the library that is stored in the Music folder on your Mac. Once you are satisfied that everything is working properly, you can delete the iTunes folder on the external drive to reclaim the space. When you see this prompt, click 'Choose Library,' then select your new iTunes Media folder.